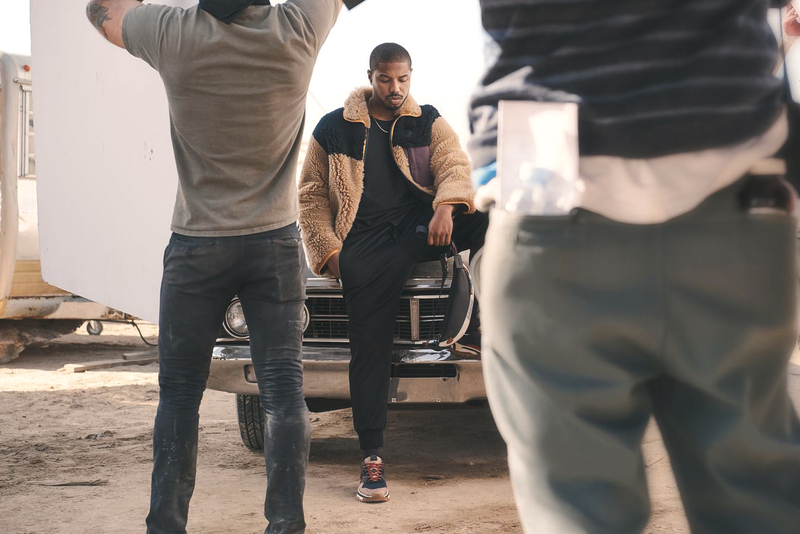 YOU may know him as Erik Killmonger in Black Panther, but after taking the movie industry by storm last year, Michael B Jordan made an interesting entrance into the fashion realm as the new global face of Coach menswear, and it shows; now all eyes are on him. For the Spring 2019 season, Jordan is decked out in Coach apparel. He rests on the hood of a vintage automobile in the desert landscape, greeting you with his debonair disposition. Just like that, Michael B Jordan effortlessly encapsulates what it means to be a Coach Guy. Jordan is not on board for just the modelling gig, though. The 31-year-old Hollywood actor has attained, one: the ambassadorship of the Dream It Real initiative launched by The Coach Foundation, (the philanthropic division of Coach) which supports the next generation with resources, training and mentorships to make their dreams a reality, and two: a partnership with the label’s creative director Stuart Vevers in a special design project. We are past the time when brands use famous faces just to make their clothes and bags look good. Brands now want to recruit celebrities whose personal stories align with the company’s ethos. A simple search of Jordan on the net will reveal his struggles stepping into the film industry. He revealed in a Vanity Fair story that he was rejected by many agencies who didn’t want to represent him in the beginning. Today, to reach the level of success he enjoys will require years of zeal and a never-say-never attitude. This was the approachable masculinity Vevers found desirable in him. With a following of 9.2 million on his socials and counting, it was perfect to sign Jordan as the global face of Coach menswear, for a connection to the younger generation and as an advocate for inclusivity everywhere. Came early 2018, Jordan announced that his production company – Outlier Society Productions, would adopt inclusion riders for all of its projects. In a story with GQ, Jordan admitted his distaste for the abhorrent tokenism back in the day, as if there could only be one successful person of colour in each film there was. And it is understandable where that frustration came from. Black Panther, with a production budget of $200 million, made $1.3 billion dollars in 2018. The movie was not just a blockbuster; it was a cultural phenomenon. Its catchphrase “Wakanda forever” has transcended into commonplace Internet lingo, and became the first Marvel film to be nominated for best picture at the Oscars. As such, creating more roles in story-making became an instinctive step for the African American actor, opening up more opportunities for minority groups in Hollywood to succeed together. There is no doubt; the issue of inclusiveness has blown up in the Hollywood film industry in the past year. Being part of the predominantly black cast that brought to us one of the greatest Marvel productions in history, Jordan can claim plenty of credit for making this dream a reality for the viewers. Nowadays no film is made without looking at the representation of both cast and crew. A television series Raising Dion is one of the upcoming projects that Michael B Jordan is producing through his own production studio set to premiere on Netflix. He has become a storyteller, with his own stories to share. He says he aspires to be like the Leonardo DiCaprio or Will Smith of our time, but unbeknownst to him, the world may already be looking for the next Michael B Jordan. Images used are from Coach.